One Burning Question for Each #RedSox Position Group Headed into Spring Training. The Red Sox are set to kick off their spring workouts this coming week beginning with pitchers and catchers officially reporting to Fenway South in Fort Myers on Tuesday. The blueprint for attempting to repeat as World Series champions will be created over the next month and a half before the club hits the road for an 11-game west coast road trip to kick off their 2019 campaign. There are obviously many components involved in this process, so I went ahead and composed a handful of questions pertaining to each Red Sox position group. Starting pitchers – Will Chris Sale be able to stay healthy for a full season? Chris Sale dealt with numerous throwing shoulder issues in 2018, limiting him to 27 starts in the regular season and just 15.1 innings pitched in the postseason. Still, the left-hander posted a 2.11 ERA, averaged 13.5 strikeouts per nine innings, and finished top five in American League Cy Young voting for the sixth consecutive year. Not to mention he recorded the final out of the World Series as well. So, heading into the final year of his contract before hitting free agency, the spotlight will be on Sale to see if he can sustain his typical success over the course of a full season’s workload. Without a doubt, it’s going to be an important season for the Florida native. How he holds up may just dictate who comes out on top in a competitive American League East. Relief pitchers – Who will serve as the Red Sox’ closer in 2019? Speaking of pitching, it seems as though Dave Dombrowski is comfortable with the idea of either Matt Barnes or Ryan Brasier serving as the Red Sox’ closer to at least begin the 2019 season. That in mind, the best relief pitcher on the market who just so happens to have spent the last three seasons in a Red Sox uniform is still available. Given how this winter’s free agency has panned out, I’ve grown more and more content with the thought of the Red Sox offering Craig Kimbrel a one-year deal for the 2019 season with a value similar to that of the qualifying offer the flame-throwing closer declined in November. I have a feeling the soon to be 31-year-old Kimbrel would prefer a multi-year deal, but whether it be Barnes, Brasier, or Kimbrel manning the ninth inning for Boston in 2019, the bullpen is surely far from perfect and will more than likely be the club’s weakest link. Catchers – Which Red Sox catcher, if any, will get traded before Opening Day? It’s been reported this winter that the Red Sox would prefer not to carry three catchers on their 25-man roster like they did for parts of the 2018 season heading into the 2019 campaign. Blake Swihart, Christian Vazquez, and Sandy Leon may all be available via trade as Opening Day looms, but who has the best case to be moved? Swihart, for starters, is the most appealing option in this scenario. Turning 27 in April, the former top prospect’s big league career has not exactly panned out the way many envisioned it would when he made his debut with Boston in 2015. This past season, Swihart was limited to just 207 plate appearances in an extremely limted role with the club, slashing .229/.285/.328 with three home runs and 18 RBI over that span. Still, the Texas native is viewed by many as Boston’s most appealing backstop. Red Sox manager Alex Cora even said, “I want to see Blake catching more. I’ll give him a chance to,” back at the Baseball Winter Meetings in December. With Leon and Vazquez in the mix as well, the Red Sox’ catching competition will definitely be something worth paying attention to over the course of the spring. Infielders – Is Rafael Devers poised for a breakout in 2019? The second year third baseman blew everyone away with his consistently clutch play this past October as he collected nine RBI in all three postseason series combined, with three of those coming on a game-sealing three-run home run off of Justin Verlander in Game 5 of the ALCS. But in his first full regular season with Boston, the 22-year-old posted a below average 94 OPS+, committed 24 errors manning the hot corner, and even struggled to find playing time at different points throughout the year. So, heading into the 2019 season, what should be expected of Devers? The pressure will certainly be on with Eduardo Nunez proving to be a capable third baseman when healthy, and the Red Sox have prospects such as Michael Chavis Bobby Dalbec looming in the minor leagues as well. …then I fully expect the Dominican Republic native to get to somewhere close to 30-35 home runs this year to go along with a slugging percentage north of .490. One of the more interesting breakout candidates to watch for on this club. Outfielders – Can Jackie Bradley Jr. put together a consistently solid season at the plate? Finally, Red Sox fans all know Jackie Bradley Jr. is arguably the best defensive center fielder in the American League, that much has proven thanks to his first Rawlings Gold Glove Award in 2018. What people want to see are consistent at bats from the 28-year-old outfielder. In the second half of last season, Bradley Jr. slashed .269/.340/.487 with seven home runs and 27 runs driven in. Pretty solid numbers over a span of 58 games. If the South Carolina native could put those type of numbers together for the length of a full season in 2019, then I think it’s safe to say that the Red Sox will have the best outfield in baseball. All pictures courtesy of Billie Weiss. 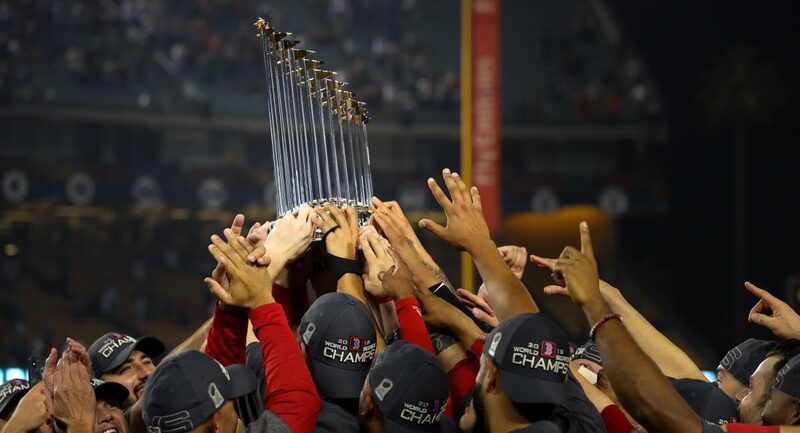 Author Brendan CampbellPosted on February 11, 2019 February 11, 2019 Categories Baseball, Sports, UncategorizedTags alex cora, Baseball, blake swihart, boston, chris sale, christian vazquez, craig kimbrel, jackie bradley jr, matt barnes, mlb, offseason, rafael devers, red sox, ryan brasier, sandy leon, spring trainingLeave a comment on One Burning Question for Each #RedSox Position Group Headed into Spring Training. Former #RedSox LHP Drew Pomeranz Inks One-Year Deal with San Francisco Giants. The San Francisco Giants have signed LHP Drew Pomeranz to a one-year deal for the 2019 season. The club announced the signing on Twitter Wednesday afternoon. Pomeranz, 30, will earn a base salary of $1.5 million in 2019 plus up to $3.5 million worth of incentives, reports the Athletic’s Ken Rosenthal. Pomeranz with #SFGiants: One year, $1.5M. Plus: $250K each for 25ip; 50ip $125K each for 2gs; 4gs; 6gs; 8gs $100K each for 10gs; 14gs; 16gs; 18gs; 20gs; 24gs; 27gs; 30gs $200K for 32gs Plus: $500K if on OD active roster $250K each for 90, 120 days on active roster: $500K for 150. The left-hander had spent the past two-plus seasons with the Red Sox following a trade with the San Diego Padres for pitching prospect Anderson Espinoza in July of 2016. In his injury-riddled tenure with Boston, Pomeranz posted a 4.24 ERA and 1.45 WHIP over 316.1 total innings pitched as both a starter and a reliever. Despite his negative perception among fans, Pomeranz was actually solid in his only full healthy season with the Red Sox in 2017, where he dazzled with a 17-6 record and 3.32 ERA over a span of 32 consecutive starts. With David Price dealing with injury issues himself that year, Pomeranz was essentially the best starting pitcher on the Red Sox’ roster not named Chris Sale. 2018 was a different story for the Tennessee native though, as he dealt with a left forearm flexor strain and left biceps tendinitis and could never really find his rhythm as a starter or out of the bullpen. Still, Pomeranz made his way to the Red Sox’ World Series roster, and although he never appeared in a game against the Los Angeles Dodgers, he was available in case he was needed. Giants president of baseball operations Farhan Zaidi said in a conference call Wednesday that Pomeranz will be in the team’s starting rotation, meaning he’ll join the likes of fellow southpaws Madison Bumgarner and Derek Holland out in the Bay Area. As MassLive.com’s Chris Cotillo notes, Pomeranz joins Joe Kelly (Dodgers) and Ian Kinsler (Padres) as the only members of the 2018 World Series champion Red Sox to sign elsewhere at the moment. All three have signed deals with National League West clubs. The Red Sox are scheduled to play the Giants at Fenway Park September 17-19th. Author Brendan CampbellPosted on January 23, 2019 Categories Baseball, Sports, UncategorizedTags Baseball, boston, drew pomeranz, hot stove, mlb, offseason, red sox, san francisco giantsLeave a comment on Former #RedSox LHP Drew Pomeranz Inks One-Year Deal with San Francisco Giants. #RedSox and Portland Sea Dogs Extend Affiliation Agreement Through 2022. Earlier Tuesday, the Boston Red Sox announced that they had extended their player development contract with their Double A affiliate Portland Sea Dogs for the next four seasons. Originally affiliated with the then-Florida Marlins, the Sea Dogs have been affiliated with the Red Sox since the start of the 2003 season. Since then, the Eastern League club has won a pair of division titles in 2005 and 2014 as well as their lone league title in 2006. As things stand right now, the Red Sox’s 40-man roster includes 24 players who came up through the pipeline by way of Portland. Notable alumni include Sea Dogs Hall of Famer Dustin Pedroia, Mookie Betts, Rafael Devers, Xander Bogaerts, Andrew Benintendi, Blake Swihart, Christian Vazquez, and Matt Barnes. On the same day this news broke, the Sea Dogs also introduced former MLB catcher Joe Oliver as their 13th manager in the club’s history. Oliver, 53, has been with the Red Sox organization in a minor league managing capacity since 2014. Author Brendan CampbellPosted on January 15, 2019 January 15, 2019 Categories Baseball, Sports, UncategorizedTags andrew benintendi, Baseball, boston, dustin pedroia, milb, mlb, mookie betts, offseason, portland sea dogs, red soxLeave a comment on #RedSox and Portland Sea Dogs Extend Affiliation Agreement Through 2022. #RedSox Avoid Arbitration with All 12 Eligible Players. The Boston Red Sox have reached settlements with all 12 arbitration eligible players on their 40-man roster, The Boston Globe’s Alex Speier reports. Prior to Friday, deals with Hembree, Thornburg, and Wright had already been settled upon. Mookie Betts, meanwhile, was on the receiving end of far and away the largest one-year contract ahead of the upcoming season for any arbitration eligible player across baseball, let alone one in their second year of eligibility. In total, the club spent approximately $55.395 million on these 12 contracts for 2019. The Red Sox’ official Twitter account confirmed the 10 signings made on Friday just moments ago. 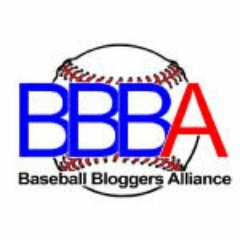 Author Brendan CampbellPosted on January 11, 2019 Categories Baseball, Sports, UncategorizedTags arbitration, Baseball, boston, dave dombrowski, hot stove, mlb, mookie betts, offseason, red soxLeave a comment on #RedSox Avoid Arbitration with All 12 Eligible Players. Mookie Betts and #RedSox Avoid Arbitration with $20 Million Deal for 2019 Season. The Boston Red Sox and 2018 American League MVP Mookie Betts have settled on a one-year, $20 million deal for the 2019 season, thus avoiding arbitration. Sportsnet’s Ben Nicholson-Smith was the first to report this. Betts, 26, will be making history with this settlement, as $20 million is the most any player has earned in just their second year of arbitration eligibility. The three-time All-Star earned $10.5 million this past season, so he will see his salary just about double this year. Given the fact that Betts and the Red Sox could not come to an agreement on what the Tennessee native’s salary for 2018 would be and instead went to arbitration, the way things unfolded before the 1 PM EST deadline on Friday appear to be a lot more promising. Rumors about a potential contract extension with Betts have loomed seemingly since the Red Sox won the World Series title in October. Now that the two sides have worked out a deal in pretty simple fashion, perhaps that increases the likelihood of an extension happening once the former fifth round pick’s market is determined. In his 2018 season with Boston, Betts slashed .346/.438/.640 with 32 home runs and 80 RBI on his way to a historic AL MVP campaign. He also collected his second Silver Slugger Award and third consecutive Gold Glove Award. Author Brendan CampbellPosted on January 11, 2019 Categories Baseball, Sports, UncategorizedTags arbitration, Baseball, boston, dave dombrowski, mlb, mookie betts, offseason, red soxLeave a comment on Mookie Betts and #RedSox Avoid Arbitration with $20 Million Deal for 2019 Season. Dustin Pedroia Is Set to Test His Injured Left Knee Next Week. Earlier Thursday, The Boston Herald’s Jason Mastrodonato reported that Red Sox second baseman Dustin Pedroia will start running for the first time in months beginning next week to test his surgically repaired left knee. Next week a big one for the Red Sox – I'm told Dustin Pedroia will start running for the first time this offseason to test his knee. Sox have considered this a key step in his progress that could soon determine if they'll need to add other 2B options going into camp. As Mastrodonato’s tweet reads, Pedroia’s health going into spring training next month is crucial to what the club’s plan at second base will be for the upcoming 2019 season. Although there is some level of uncertainty surrounding Pedroia, the fact that the Red Sox already have veteran infielders such as Brock Holt and Eduardo Nunez on their 25-man roster is reassuring, but those two did not stop president of baseball operations Dave Dombrowksi from going out and acquiring Ian Kinsler from the Los Angeles Angels last July to seemingly fill in for Pedroia. On the subject of Kinsler, it’s also worth mentioning that any acquisition Boston makes regarding a second baseman in the coming weeks would more than likely be a lower-level, minor league deal type of signing, as the club simply cannot promise regular playing time until Pedroia’s availability is determined. Mastrodonato notes that the California native’s rehab will almost certainly take place in his adopted home state of Arizone, rather than at the Red Sox’s facility in Fort Myers, Florida. Pedroia, who will turn 36 this August, battled inflammation in his left knee throughout 2018 following cartilage restoration surgery in October of 2017. The four-time All-Star only appeared in three games with Boston this past season, but still made his presence felt as a vocal leader off the field. Author Brendan CampbellPosted on January 10, 2019 Categories Baseball, Sports, UncategorizedTags alex cora, Baseball, boston, dave dombrowski, dustin pedroia, mlb, offseason, red soxLeave a comment on Dustin Pedroia Is Set to Test His Injured Left Knee Next Week. Chicago White Sox and RHP Kelvin Herrera Agree to Two-Year Contract. The Chicago White Sox have reached an agreement with free agent reliever Kelvin Herrera on a two-year, $18 million contract, according to ESPN’s Jeff Passan. Reliever Kelvin Herrera and the Chicago White Sox are in agreement on a two-year, $18 million deal with a vesting third-year option, sources tell ESPN. The deal also includes a vesting option for a potential third year, and per the Athletic’s Ken Rosenthal, that could take the value of this contract northward of $27 million. Herrera, 29, opened the 2018 season with the Kansas City Royals, where he posted a miniscule 1.05 ERA over a span of 25 relief appearances before being dealt to the Washington Nationals in June. There, the right-hander had a much more difficult time of things, as his ERA skyrocketed up to 4.34 over a span of just 21 appearances with the Nats. Injuries were also an issue for Herrera this past season, as he was placed on the 10-day disabled list on two separate occasions in August. The first occurrence, an impingement of the right rotator cuff on August 8th, saw the Dominican Republic native shelved for nearly two weeks before being activated on August 21st. Less than a week after that, Herrera was once again placed on the disabled list due to a tear in the lisfranc ligament of his left foot. That saw his season ultimately come to an early conclusion. Prior to all this injury-related news going down, the Red Sox were reportedly interested in acquiring the services of the flame throwing Herrera at the non-waiver trade deadline on the last day of July. With that in mind, it made sense that the Red Sox would be interested in potentially bringing in Herrera as a free agent to stabilize the back-end of their bullpen with the return of Craig Kimbrel still a question mark. However, the fact that Herrera is coming off a lingering foot injury and still received a hefty chunk of change from the White Sox might mean that the Red Sox were never going to seriously head in this direction. Author Brendan CampbellPosted on January 7, 2019 Categories Baseball, Sports, UncategorizedTags Baseball, boston, chicago, dave dombrowski, hot stove, kelvin herrera, mlb, offseason, red sox, white soxLeave a comment on Chicago White Sox and RHP Kelvin Herrera Agree to Two-Year Contract.